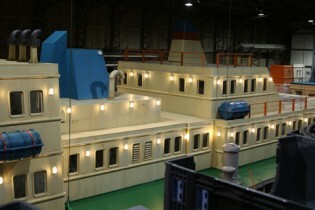 This stunningly realistic and vast scenic ship was not only the largest single item of scenery we have ever built, but also the single largest object we have ever flown. 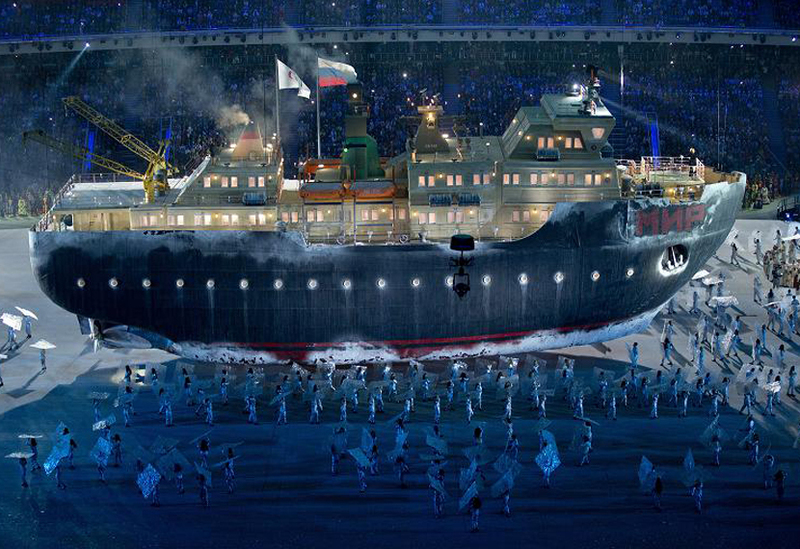 At over 40 metres long and reaching 20 metres at its highest point, its graceful journey across Sochi’s Fisht stadium was an awe-inspiring highlight of the 2014 Paralympic opening ceremony. 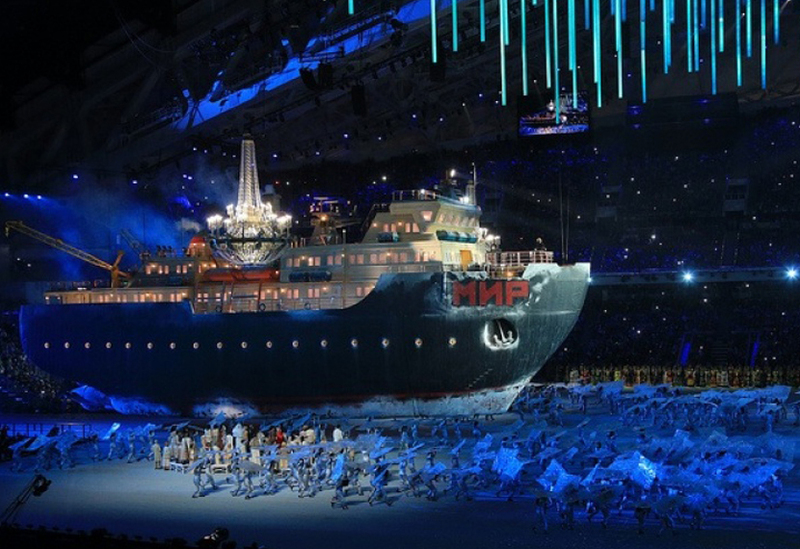 Using our track system installed in the stadium roof, the Mir appeared to glide through the ice. Whilst constructed to be as lightweight as possible, the Mir also had to depict extraordinarily accurate detail, able to withstand the scrutiny of camera close-ups and that of the worldwide audience. 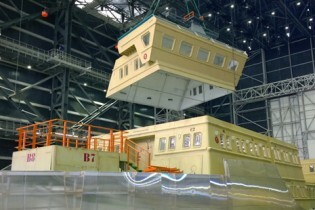 The construction occupied one of our aircraft hangars for 2.5 months, before the ship was herself shipped to Sochi for the rendering of the finer snow and ice detail on site.